So many times we have heard of this. Getting a person on board is no mean joke at all, so much of thought, psychometric processes, behavioral interviews etc involved in arriving at “the probable star”. “People are our greatest assets” is an oft quoted statement, however HR departments across are dealing with rationalization issues. The ultimate objective is one of matching or fitting employee abilities to enterprise. It seems like organizations have to get a lot of things ‘right’ in order to reap the benefits from this exercise. Quite a paradox for HR ! Last few years have seen rapid technology changes with emergence of new disruptive at rates never seen before. To meet the growing demand of the company, optimization of manpower is done on a continuous basis with utmost care. But is that what is actually done ? Do requirements from employees evolve over time ? Selected for “A” activity and performance appraised on “B” activity ? Criteria best known to the organization. Efforts by organizations on optimization of manpower through scientific forecasting, well defined manpower norms & their periodical review, balanced deployment & skill transformation through training, retraining & redeployment. The list is endless. Restructuring is for variety of reasons such as cost pressures, aging workforce and approaching retirement wave, current and projected labour shortage and to meet growth targets. Most workforce planning exercises may be triggered on account of two problem statements. 1. Adoption of new technology, process redesign, role redesign and other miscellaneous changes in the environmental conditions. 2. Organizations may need clarity on the total number of people it may want to hire/drop over short, medium and long term. This may facilitate the organizations to plan for the recruitment or separation activities. The biggest challenge to workforce planning is for the leadership to believe that it is an organizational initiative and not an HR initiated. The leadership needs to be fully committed. Thus with the organizations entering the new age of economic uncertainties, competing by capability maximization may become the new name of the game. Consequently organizations are expected to have a comprehensive cost strategy along with a well crafted revenue strategy. There may exist multiple avenues of optimization along the four dimensions of organizational framework- structure, workforce, processes and technology. Key examples in this regard may be process re-design for efficiency, technology up-gradation, workforce planning, role clarification, goals cascading, skill alignment, cross functional/departmental communication, organization de-layering and team based governance. The delivery models, stated below define the nature of interactions among the structure, workforce, processes and technology. Implementation of these is a daunting task. Employees and organizations may have to deviate from their usual ways of working to new and unchartered ways of working. Forecasting and assessment. Estimates, for example, of the internal/external supply and demand; labor costs; company growth rates; and company revenue. Succession planning. Designating, for example, the progression plan for key positions. Leadership development. high-potential employees; coaching; mentoring; rotating people into different projects. Recruiting. Estimating needs for head count. Retention. Forecasting turnover rates; identifying who is at risk and how to keep them. Redeployment. Deciding who is eligible for redeployment, and from where to where. Contingent workforce. Designating the percentage of employees who will be contingent, and in what positions. Career path. Career counseling for employees to help them move up. Identifying job and competency needs. Doing a skills-and-interest inventory. Metrics. Identifying metrics to determine the effectiveness of workforce planning. Organizational restructuring may result in adding new positions, eliminating or reducing current positions, changing work assignments, modified reporting relationships for current employees, and more. EmployWise has the capability to efficiently accommodate and account for changing positions, priorities, programs, and processes thereby enhancing organizational effectiveness and addressing budget reduction. 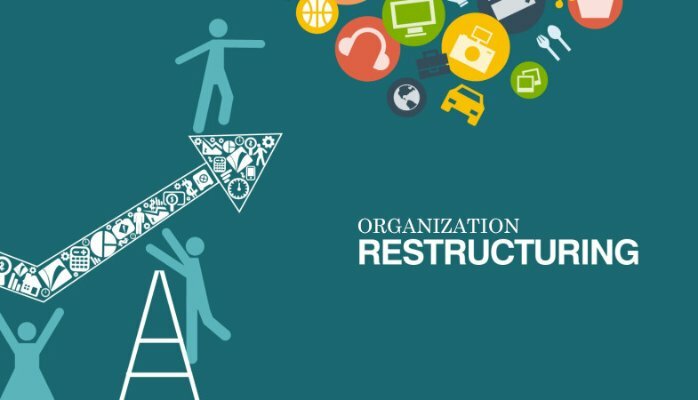 We can make organizational restructuring an easy task since as our teams have the expertise to develop and extend such capabilities to help organizations develop such robust practices with time-bound interventions. Can An HR Software Save Your Business During The Layoff? How can HR Software solve Your Management Problems with Innovation? Engaging Employees – Only Way to Retain Them Today ! Copyright © 2017 EmployWise. All Rights Reserved.